The Counterfeit Bee Gees are quite simply the best Bee Gees Tribute Act in the World ! They comprise of three great guys Joe (as Maurice playing piano / keyboards and guitar, he's also the one who hits the high notes with a vocal power thats second to none, mostly harmonies), John (is the voice of Barry Gibb, is a very accomplished guitarist with a vocal ability so accurate to Barry Gibb that it could almost be the man himself) and Ted (as Robin who, like the others, has a fantastic voice is a great musician and generally sings low to mid harmonies). They're all been in the business for what seems like donkeys years, working all over the country and Europe. Then can also add guest female vocalists if requested. They're fully self contained with a 20k PA which can be adapted to suit any venue. A full light show with back screen projection to recreate any era of the Bee Gees. They even have their own sound engineer / lighting engineer / makeup and wardrobe artist. 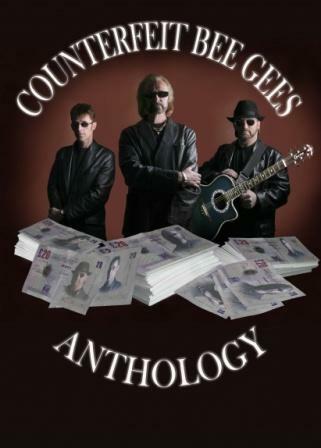 So if you want a great Tribute Show, look no further the the Counterfeit Bee Gees.